Take your entire entertaining and cooking space to the next level with an outdoor kitchen. An outdoor kitchen with comfort in mind increases the square footage to host friends and family. 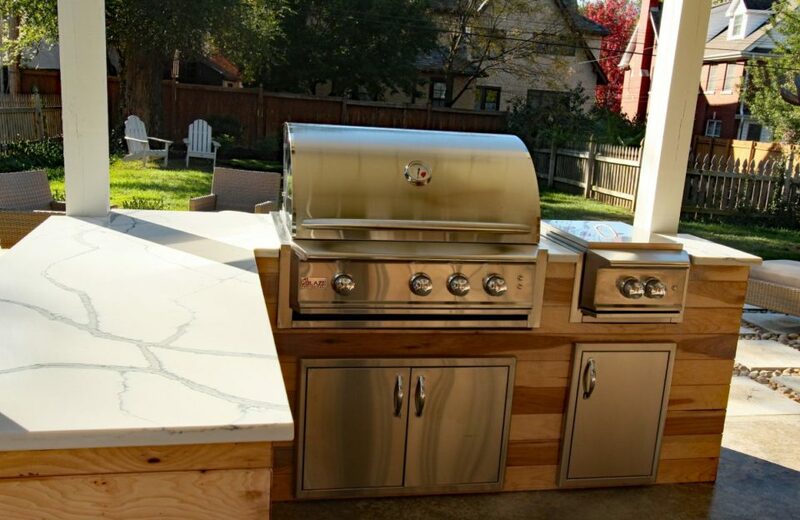 When designing your outdoor kitchen here are a few things to consider. Although the traditional patio furniture adds an element of coziness to any outdoor area, don’t forget to spread out your seating options throughout the backyard. Built in benches are great functional and weather resistant seating option for entertaining and offering a chance for guest to spread out a bit. 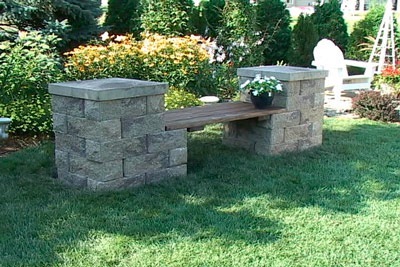 Utilizing brick and stone pavers is a great and easy way to build an outdoor bench. Place in a corner of the garden, around a fire pit or close to a play area for parents to mingle while the kiddos play. The options for stone benches are endless and easy on the pocketbook. A fire pit or stone outdoor fireplace is a great way to offer a cozy and welcoming feel to your outdoor kitchen space. 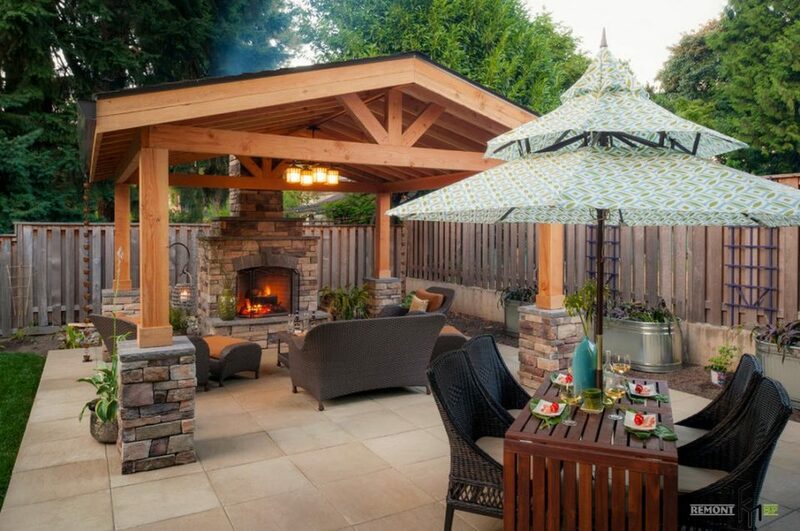 Sheltering the space where the fire element is located with a simple covered pergola can also stretch the use of your outdoor kitchen into cooler weather months by providing a warm and protected spot for family and friends to gather and enjoy each other’s company. Fire elements can also offer another method of cooking. Often times fire pits are converted with roasting spits, or outdoor fireplaces are built with a pizza oven feature. Most fire pits are made with a stacked stone and are incredibly affordable to design, considering a fire pit is simple, many homeowners opt to build their own. If you are considering an outdoor fireplace, it is best if you consult a professional. Either way a fire element in your outdoor kitchen is a must have! If you are working with limited space in your design make the cooking space also function as an entertaining space by placing the kitchen so that a bar can be added to the front. A multi-functional layout allows you to maximize your space in even the smallest of yards. Just a reminder to use food safe and weather resistant countertops, such as a granite, when designing your outdoor kitchen. Facing your kitchen area with a stone ledger will help protect the space from the elements with little to no maintenance and also adds a high end finish to the overall look of your outdoor kitchen space. What is the best countertop option for you, granite or quartz?